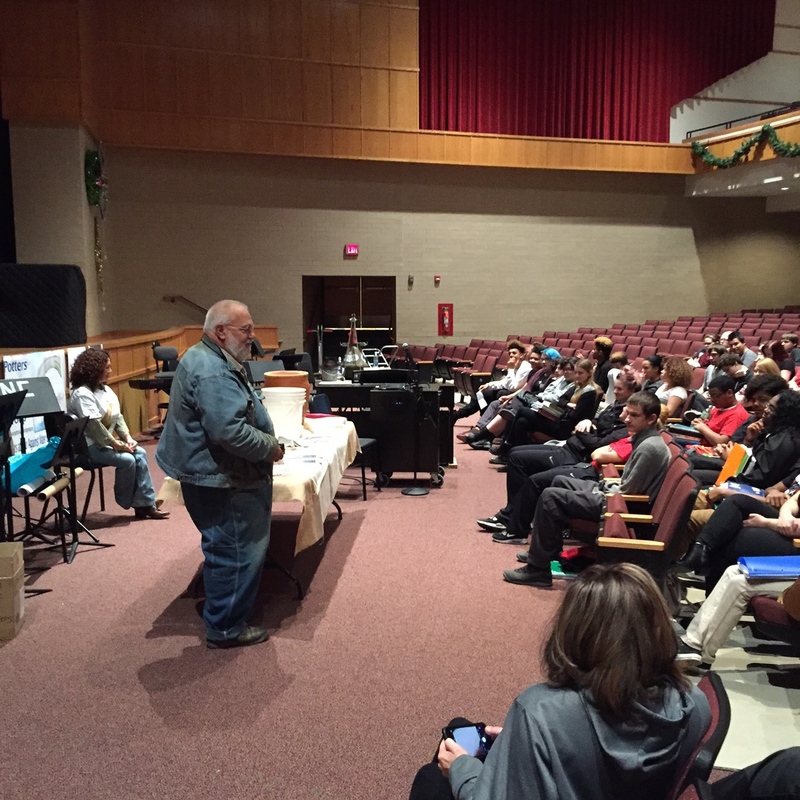 On Friday November 11, 2016, members of Potters Water Action Group and Reservoir Studio visited New Castle High School (New Castle, PA) to conduct a water filter presentation and demonstration. Art teacher Raquel Flora and PWAG member/art teacher Cynthia Blackwell coordinated the event. The presentation took place in the auditorium supported by slides and a display which included a water filter, ceramic receptacle, books, and a portable water filter press. The water filter production demonstration took place in the art room after the presentation. The art room was filled to capacity. We produced a water filter from scratch with cooperation from students. 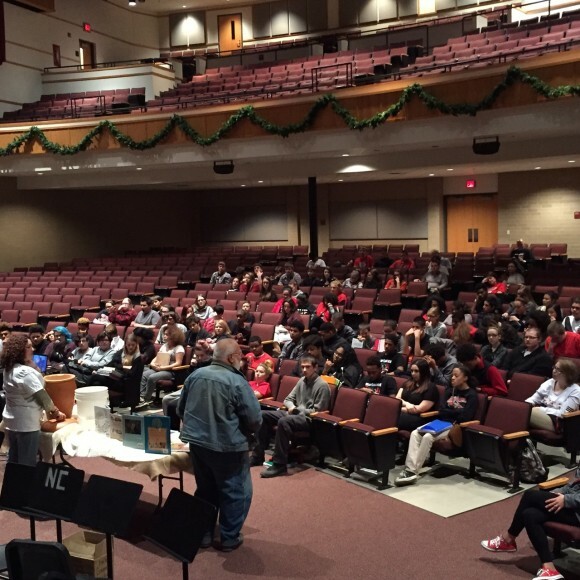 PWAG and Reservoir Studio appreciate the administration, teachers, and students at New Castle High School. We extend special thanks to Ms. Flora for her hard work organizing and coordinating the visit. We are proud to include this wonderful school as a K12 Curriculum Partner in “the war against waterborne disease,” our water filter curriculum project and the African Diaspora Water Crisis Curriculum Project.